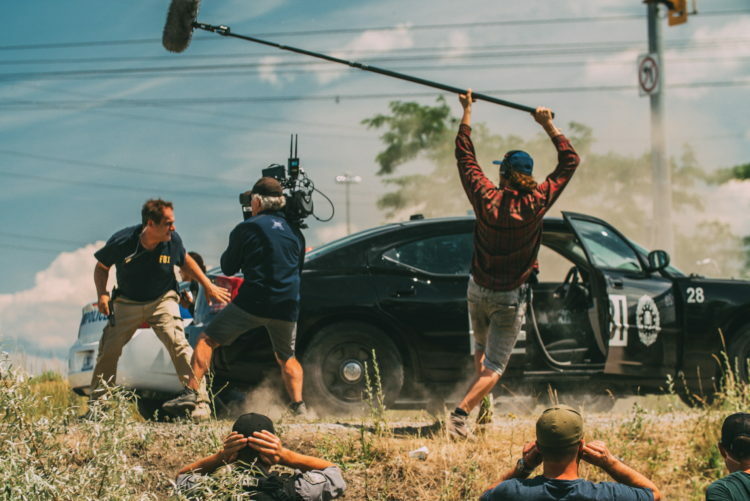 Yesterday, after a 15-year long hiatus, the BMW Films franchise made a comeback with the brand new BMW G30 5 Series in the spotlight. And while by now every fan of the brand watched the 13-minute long short film already, we’re taking you today behind the scenes. First off, we should warn you about the spoilers ahead. Therefore, if you haven’t watched the movie already, do that first and then come back and watch how it was all done. You have been warned. The biggest attraction of the new movie was probably the confrontation between the driver (Clive Owen) and his enemy in this short footage, Holt (played by Jon Bernthal). Their feud ends up with a chopper being basically pulled down by the BMW 540i driven by Owen and while all of this sounds impossible at first, it’s quite spectacular to see on the screen. As you’re about to see, this was also the trickiest part to film as you don’t get to destroy helicopters all that easy in the first place. Chip in the fact that all of it had to look as real as possible and you get what I mean when I say that this was no walk in the park. As we’ve gotten used to from the initial BMW Films endeavor, world-class actors and directors are usually involved, to make sure everything’s up to par with BMW’s high standards. That said, we won’t keep you any longer but instead let you learn a thing or two about how the whole thing was put together.